Chris is an experienced consultant and trainer specializing in the Microsoft BI stack and in particular Power BI,SQL Server Analysis Services, MDX, DAX, M, Power Pivot and Power Query. He’s been blogging about Microsoft BI for over 10 years, and racked up over 1,000 posts. 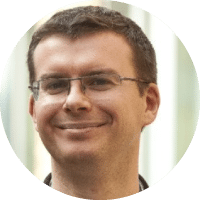 He also speaks at a number of conferences including SQLBits, the PASS Summit, the PASS BA Conference, SQL Saturdays and user groups. It was pure luck: in my first IT job I was put on a BI project, and we were advised to use the new OLAP tool from Microsoft that was going to be released with SQL Server 7. It was a challenging project and I learned a lot of skills (for example MDX) that I still use today. I was also very lucky to work with a number of very experienced people who taught me a lot. I’m most interested in writing queries and calculations. I’ve always liked working with the languages that Microsoft created for its BI tools – MDX, DAX and M – and I particularly enjoy performance tuning. I always enjoy reading what Donald Farmer has to say – it’s always intelligent and shows a deep understanding of many non-technical subjects. I’m interested in the way technology changes how we think and behave. I suppose Marshall McLuhan was one of the pioneering thinkers in this field, but for a commentary on what’s happening today I like to read people like Nicholas Carr. I’ve written a few books in the past, but to be honest I doubt I will do again because all of the products I work with change too quickly for any book to be written, let alone stay accurate. I speak regularly at conferences and user groups though and I find that’s a great way to meet people who are doing the same things as me. From my point of view, the biggest change happening right now is that much smaller companies are adopting BI tools – this is the result of prices dropping and the move to the cloud. As a result this will dramatically increase the number of users of BI tools, with BI skills becoming a requirement for many jobs in the way that Excel skills are today.